Too bad I skipped attending last night's Critics Choice Awards, because I could've been the first to break this somewhat surprising bit of reboot news. Although it's doubtful because I wouldn't be able to recognize a movie producer if they were in a police lineup. Anyway, this news has to do with Paramounts live-action Teenage Mutant Ninja Turtles franchise, which looks to be getting a total reboot from the producers of A Quiet Place. Variety caught up with Andrew Form and Bradley Fuller on the red carpet last night, and the producers came right out of their shell with what their next projects would be. While paying lip service to their Jack Ryan series on Amazon and mentioning a sequel to A Quiet Place, they added that a Teenage Mutant Ninja Turtles reboot is in the works at Paramount, and it may start by the end of this year. What's funny about that clip is the interviewer barely holding back a laugh when comparisons are drawn between TMNT and A Quiet Place. Yeah, not so much. Anyway, TMNT was a case of a superior sequel hurt by its mediocre predecessor. 2014's film launched with an impressive $493M, but it wasn't a very good movie. Two years later, Out of the Shadows was much closer to the cartoon and comics yet was only able to reach $245M worldwide. Last year a reboot was set in motion, penned by Andrew Dodge, but it's unclear if this is that same project or something different. 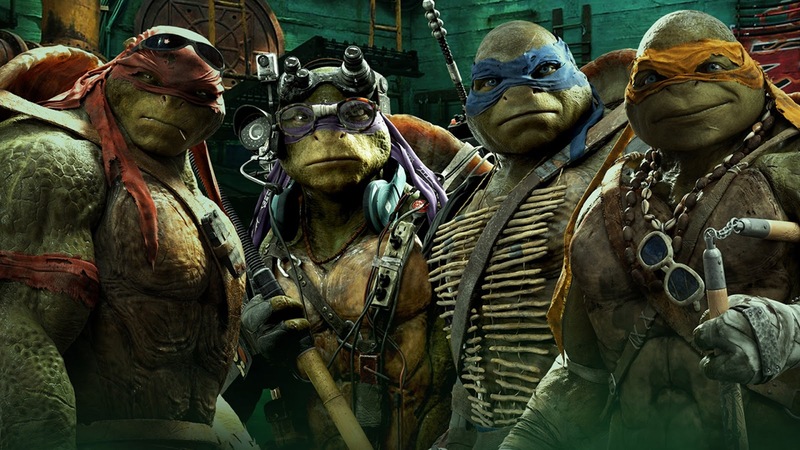 How excited are you to see the TMNT relaunched yet again? I'm doubtful anybody will be able to make them cool unless they go a fully-animated route. I'd rather see them do an Into the Spider-Verse thing, get some cool new animation techniques, big name voice actors, and go from there.